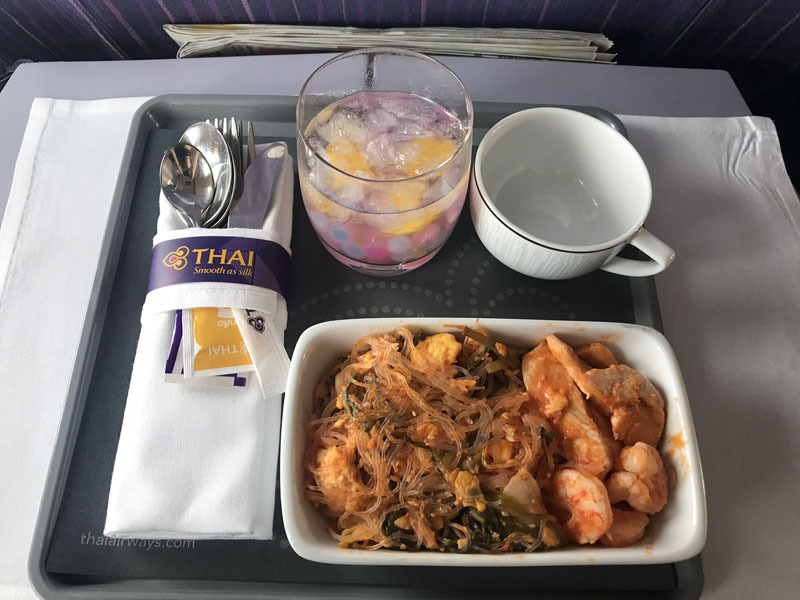 When booking a trip from Bangkok to Koh Samui recently, I had the choice of flying with Thai Airways or the boutique airline Bangkok Airways. I ended up choosing the former as it’s a Star Alliance member and I was pleasantly surprised to see that it was offering business class seats for only $100 more than economy (~AUD$300 in business class or ~AUD$200 in economy, one way). I was intending to fly economy, since the flight only lasts an hour (I can cope for that long! ), but the small price difference made me reassess those plans. Not only would business class be more comfortable, but I’d also get lounge access and a bigger baggage allowance, which I actually needed. So, after mulling it over briefly, I decided business class was good deal and booked a seat at the pointy end of one of Thai Airways’ 737-400s. So, was the extra cost worth it? I think so! Here’s my combined review of the flights to and from Koh Samui. 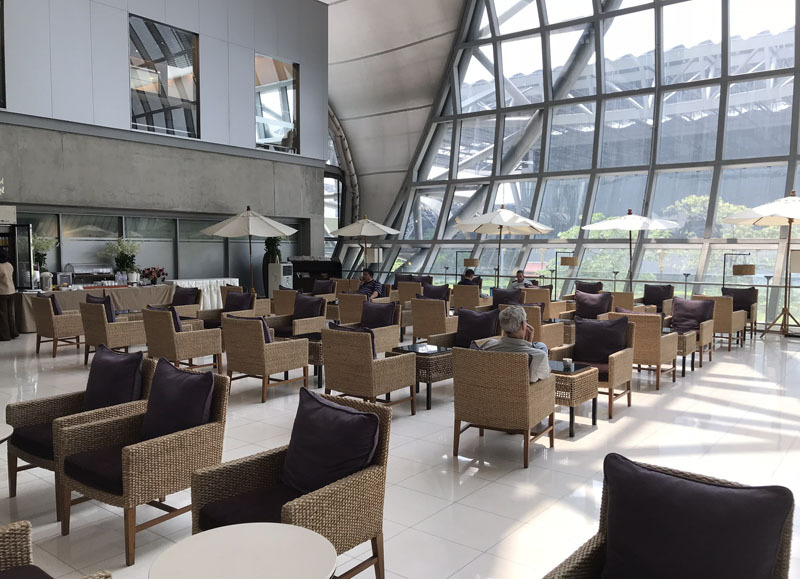 Check-in at both Bangkok’s Suvarnabhumi Airport and Koh Samui Airport were a breeze, with dedicated business class check-in counters and no queues, followed by a fast track through security. At Bangkok airport I relaxed in the spacious and comfortable Thai Airways domestic business class lounge. It comprises a dining space with a solid selection of drinks and snacks, and a quieter garden-themed area where a small selection of drinks was available (but note that alcohol is not served in the lounge). 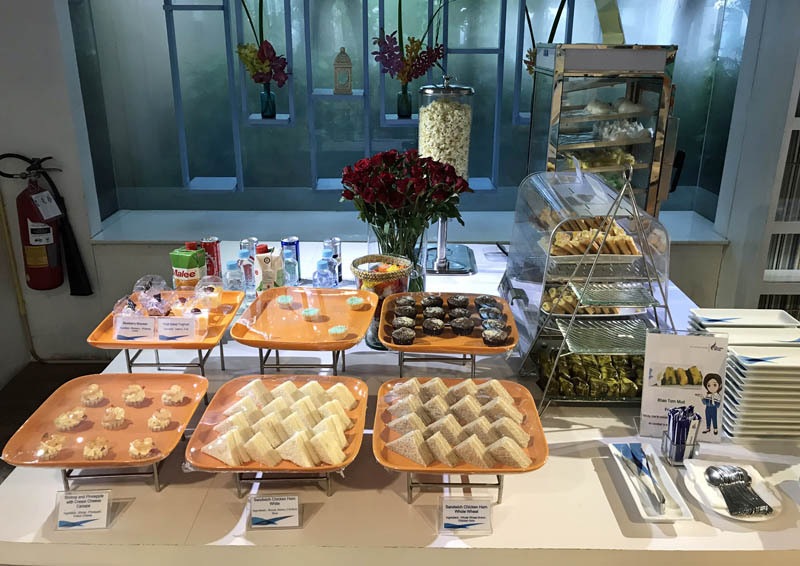 On the return leg, I enjoyed the delightful Blue Ribbon lounge at Koh Samui Airport, which is actually operated by Bangkok Airways but welcomes Thai Airways business class passengers and Priority Pass members. 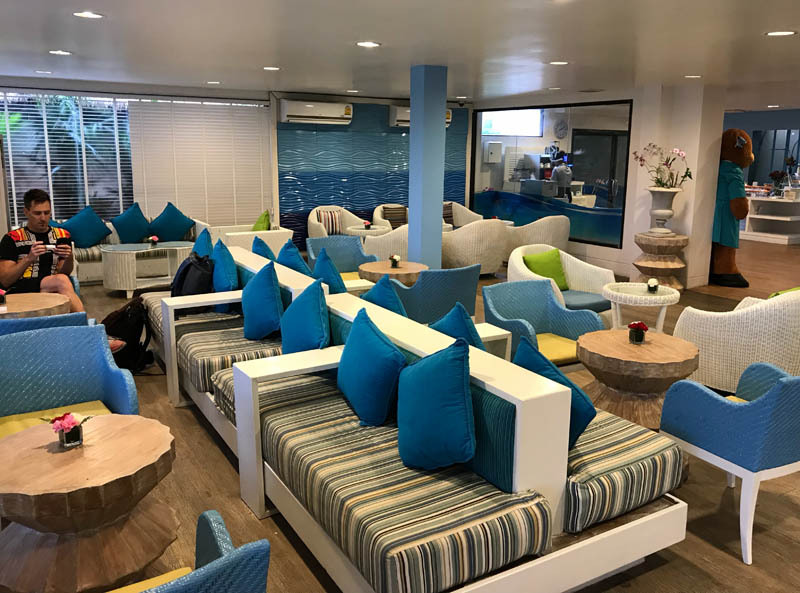 The Koh Samui lounge comprises one moderately-sized space (pictured above), with a range of tasty self-service snacks and drinks available, as well as an a la carte drinks service (no alcohol, but fresh coconuts!). The Bangkok lounge was moderately busy, whereas the Koh Samui lounge was relatively quiet. 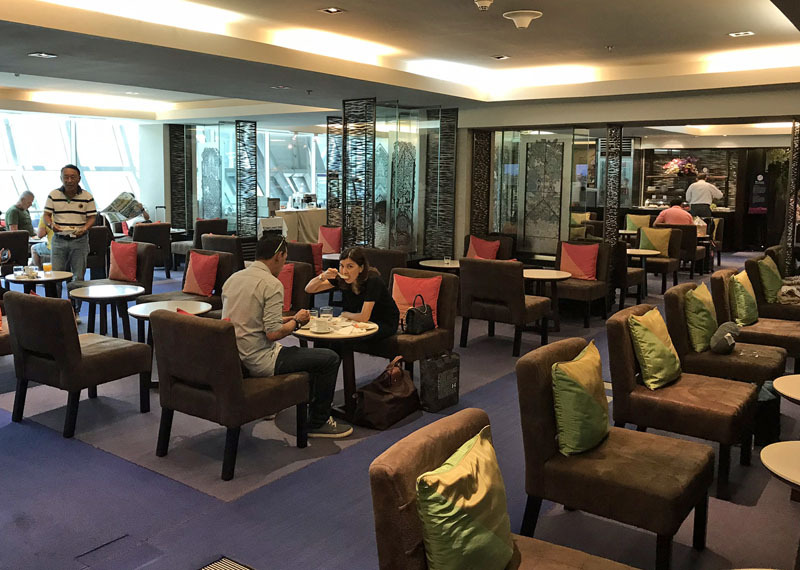 In Bangkok, oddly, there were no boarding announcements in the lounge, while in Koh Samui one of the staff personally informed me when boarding commenced for my flight. 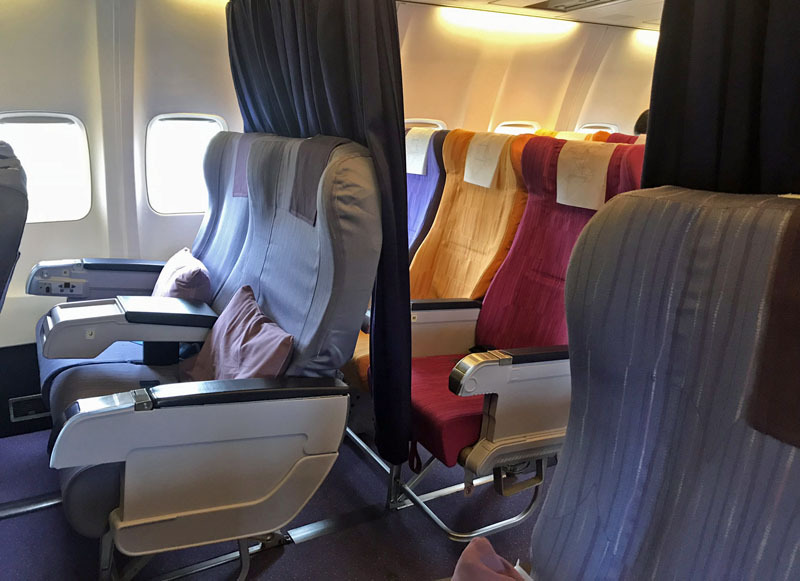 The 737 business class cabin has 12 seats arranged in a 2-2 layout across three rows, with a curtain separating the cabin from economy (where the layout is 3-3). 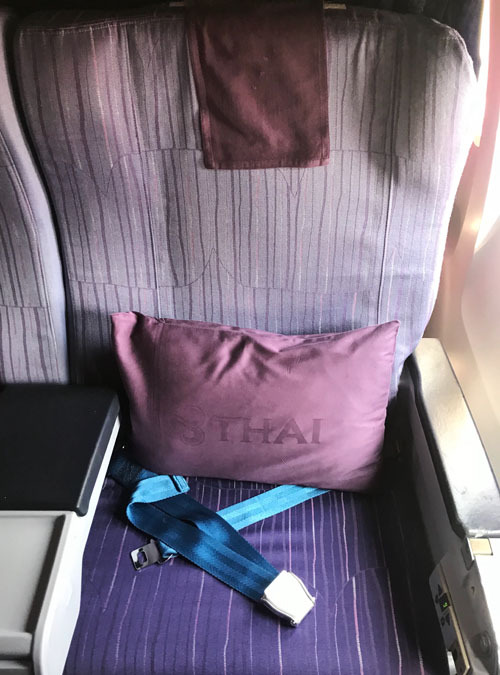 Upon boarding, there were plenty of Thai Airways’ trademark colours on display, especially in the economy cabin (it’s not often that you board a plane to find the business class seats looking a bit drab compared to economy!). On both flights, the planes were showing their age, with a lot of wear and tear in the cabin and seats. The recliner seats are 20 inches wide with foot rests and modest leg room (seat pitch is 36 inches) – but that space quickly evaporates when the person in front reclines. 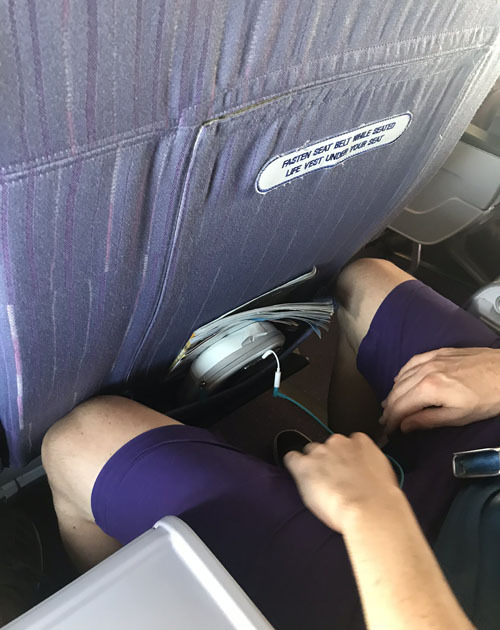 On both flights, staff requested (and enforced) that passengers not recline their seats during the meal service so the tray tables stored in the armrests could be used. There was no in-flight entertainment, except perhaps music (I neglected to try it out). 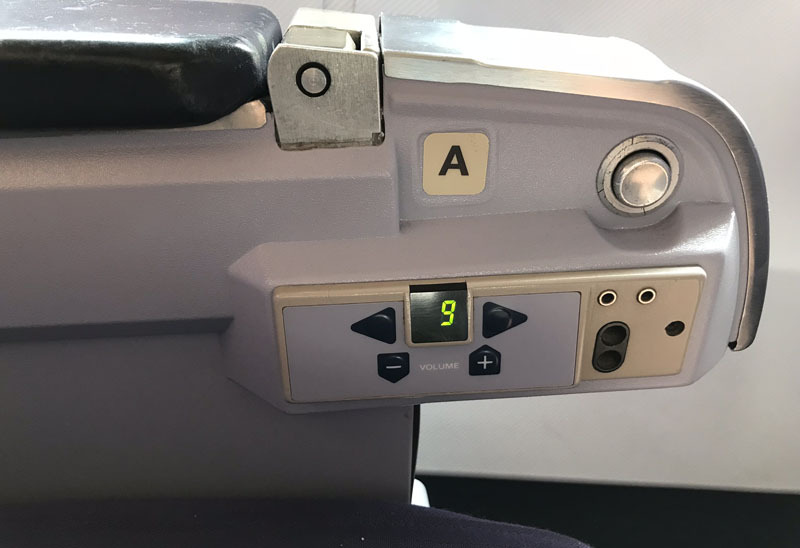 The seat controls – indicative of the aircraft’s age! I was warmly greeted by the friendly crew upon boarding and offered a drink of water, orange juice or iced tea. The crew also handed out cold towels on the first flight and warm towels on the second. Despite it being such a short flight, a hot meal was served, which was a noodle dish in both directions. On the first flight, the main dish was accompanied by a mango bubble tea while on the second flight I enjoyed a delicious whipped cream, orange and pistachio dessert with my main. The crew finished the meal service by offering coffee and tea. I enjoyed the short 737 business class flights, even though the planes were old and a bit shabby. The service and meals were excellent, and I appreciated the priority check-in, lounge access and extra baggage allowance. 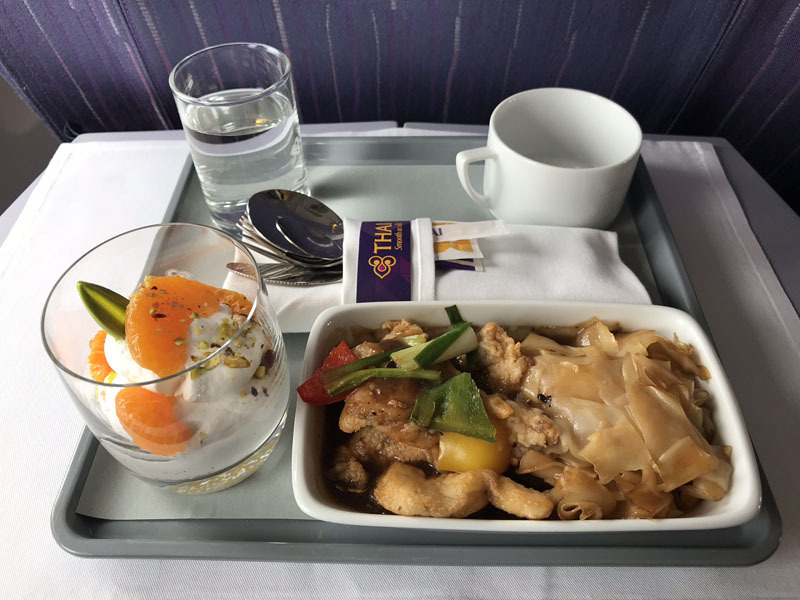 If you find yourself flying domestically with Thai Airways, a modest price difference between business class and economy could make business class a good deal, especially if you value the extra perks that come with business class. Nice review Kris. Where did you credit the miles and SC’s for these flights? I credited them to Singapore Airlines, which is my go-to Star Alliance program – but given the short flight, the number of miles earned was quite small.